Welcome back to Takeover Tuesday, where each week, Billboard taps chart-topping artists and tastemakers to compile their very own playlist exclusive to Billboard’s Spotify account. We give the artists free rein to base the list on whatever subject they choose. The only rule? Make it as creative and unique to them as possible. Even more than 20 years into her career, Lee Ann Womack is still going strong. The country star received her 11th and 12th Grammy nominations for the 2019 awards, with her ninth studio album The Lonely, The Lonesome & The Gone receiving a nod for best Americana album and its lead single “All the Trouble” earning one for best Americana roots song. But before she finds out her Grammy fate on Feb. 10, Womack will first be participating in a special tribute to Willie Nelson, “Willie: Life & Songs of an American Outlaw,” on Jan. 12 at Nashville’s Bridgestone Arena. She’ll perform hits from the country legend alongside fellow country artists like Chris Stapleton, Emmylou Harris, Eric Church, Alison Krauss and George Strait; as well as stars of other genres such as The Avett Brothers, Jack Johnson, Jimmy Buffett and John Mellencamp. Ahead of the special night, Womack dedicates her Takeover Tuesday playlist to the country legend. Get your Willie Nelson fix with Lee Ann Womack’s playlist below. The Willie Nelson Just Plain Willie Songbook is a top-level instructional book for musicians wanting to learn how to play Willie Nelson music on guitar. This Hal Leonard release comes with a size of 9 x 12 inches and boasts a string of iconic songs, including Mammas Don’t Let Your Babies Grow Up To Be Cowboys, You Wouldn’t Cross The Street, Blue Eyes Crying In The Rain, Home Is Where You’re Happy, and more. Mr. Nelson is a bonafide icon of American music, and this book offers one of the best ways to get to know the man – through the power of music. The great thing about this publication is that it will save you time from those long web searches and lets you pay attention to your playing, making your practice hours far more effective and efficient. 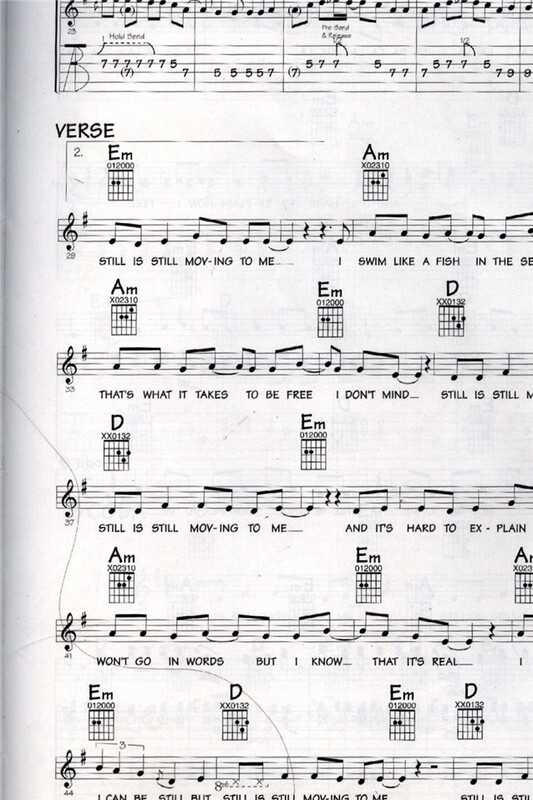 The songs are presented in tab and notation form, all of which are 100 percent accurate and concise. If extra info and details is needed, feel free to contact us online or just come down to the store, we are always glad to be of service. The full list of tunes is available below. The mystery of Fort Worth’s Christmas song is solved. It took help from readers in Palo Pinto County, plus one surprised family near Houston. 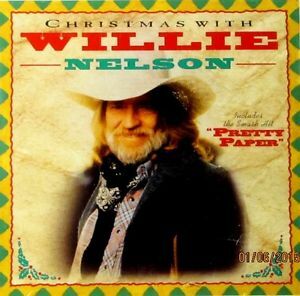 Since 1963, we’ve heard songwriter Willie Nelson’s sad ballad “Pretty Paper,” plucking heartstrings with a lyric about holiday shoppers rushing past a disabled street vendor selling “pretty paper, pretty ribbons” for pennies while crawling “all alone on a sidewalk” downtown. Readers who shopped at the old Leonards Department Store downtown remember that vendor. So did Nelson, a Fort Worth country music radio personality, door-to-door vacuum salesman and Southern Baptist Sunday school teacher until he moved to Nashville in 1963. But until last year, we never knew the man’s name. He crept on all fours along Houston or Throckmorton streets outside Leonards, wearing clunky gloves and kneepads made from old tire tread and a custom leather vest with a pencil rack and coin box sewn onto the back. For years, readers only remembered that the man commuted from Santo, in Palo Pinto County. Finally, rancher Bob Neely of Santo called about his former neighbor, Frankie Brierton. “You could always hear him in town, dragging himself along the gravel street,” Neely said. We now also know that Brierton declined a wheelchair. He chose to crawl. That’s what he learned growing up after his legs were weakened by childhood spinal meningitis, said his daughter, Lillian Compte of Conroe, near Houston. She couldn’t figure out why anybody would be asking about her father. Frank Napolean Brierton died in 1973 at 74 and is buried in Mineral Wells. “It’s a pretty song,” she said. Former downtown store clerk Ernestine Wakefield of Amarillo has written online about how she watched the man from her job in W.C. Stripling’s, across the then-busy 200 block of Houston Street. That block is now the Renaissance Worthington hotel. “I was just a West Texas girl in the big city then, and here was this poor man who had nothing,” she said by phone in 2004. Nelson has often told how “Pretty Paper” is based on trips to Leonards, America’s first supercenter. It was twice the size of a modern-day Wal-Mart, covering four blocks smack in the middle of downtown. He sold pencils. He crawled around on his hands and knees. But we never did without. Nelson had come to Leonards since his childhood days in the Hill County town of Abbott. It was one of the busiest department stores in America and also the biggest grocery store in the Southwest. Singer Roy Orbison, who made the song a hit, also knew Leonards from his childhood years in north Fort Worth in the 1940s as the son of two defense workers at the “bomber plant,” now Lockheed Martin Aeronautics. In the 1950s and ’60s, Leonards and Stripling’s were so busy at Christmas that up to 200 people would cross Houston Street every time the light changed. The crowd was so thick that some pedestrians had to wait through two lights. Brierton positioned himself on that corner, along with a vision-impaired couple, Herman and Sylvia Douglas, who sang hymns and sold pencils. In a 2004 interview, former store manager Charlie Ringler said the Leonard family let street vendors and missionaries stay even when other downtown landlords protested. 200 people would cross Houston Street at Second Street with every light change, passing real-life ‘Pretty Paper’ street vendor Frankie Brierton. Brierton worked as a street vendor in Fort Worth, Dallas and Houston, Compte said. Besides Leonards, he also sold pencils at the Fort Worth Stock Show, at the State Fair of Texas in Dallas and on Main Street in downtown Houston, she said. He earned a living without government assistance, Compte said. “He was my father — that’s all I knew,” she said. Her son, Rick Compte, said he admires his grandfather. And Rick Compte spilled one more secret: Brierton was married seven times. They say Brierton never knew he was the man in the song. There are many reasons why Willie Nelson is a revered name in country music. They range from his 1962 debut to his part in founding the outlaw movement with his partners Waylon Jennings, Johnny Cash and Kris Kristofferson. Then there are tales that tell of his softer side with his sister Bobbie and the Family Band. The Red Headed Stranger’s legacy runs deeper than some might expect. There are a slew of songs that Willie has undoubtedly made his own. Yet, it seems for every song he’s written that is undeniably a Nelson song, there’s another iconic tune he’s penned for another influential artist. In other cases, it’s his own covers that Willie’s done particular justice. With a taste that ranges from Ray Charles to the Great American Songbook and Coldplay, you can bet this legend has made his mark on a wide spread of songs. There’s just something everlasting about Willie Nelson’s talents. Since …And Then I Wrote was released 55 years ago, the Texas outlaw has released a whopping 172 albums. Among them are dozens of long-lasting hits that have secured his place as one of America’s finest singer-songwriters to ever live. Although it’s arguably the song Willie Nelson is best known for, “Always On My Mind” isn’t even a tune that he’d written himself. It was penned by Denver songwriter Wayne Carson, Johnny Christopher and Mark James and was first recorded by Gwen Macrae in 1972. While Elvis Presley and Brenda Lee released their own versions that same year, it was Willie’s rendition that broke records and went platinum a decade later. Near the peak of his popularity in the mid-1980s, Willie starred in a romantic drama called Honeysuckle Rose. Not only did he play the lead character, Buck Bonham, but he also wrote songs to feature in the film, including “Angel Flying Too Close to the Ground.” The heartbreaking love song remains a staple in country music today, from Austin to Nashville and all around the world. 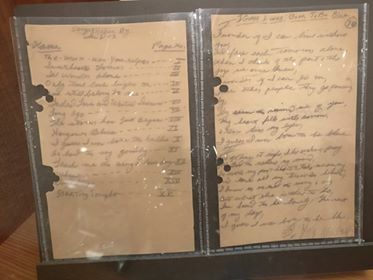 Willie originally wrote “Blood Mary Morning” in 1970 to reflect his worries about parenting. When it was reworked for his concept album 1974 cover album Phases and Stages, the song took on a whole new meaning, this time about heartbreaking rambler about a jilted man left by his lover. Nelson hit his stride in the mid-70s, and it’s this song that is often credited for revitalizing his career. Originally written by Fred Rose in the 1940s, other country greats like Hank Williams had already recorded renditions of the song. But it’s Willie’s stripped-back take on this traditional country tune that resonates the most with listeners today. “Blue Skies” exemplifies Willie Nelson’s knack for taking a tune from the Great American Songbook, and transforming it into something that’s all his own. The song was written in 1926, as a last-minute addition to the musical The Jazz Singer. Nelson’s version gives the standard a bluesy, dreamy quality. Nelson has covered a number of old folk songs in his day, the most notable being Steve Goodman’s “City of New Orleans.” Arlo Guthrie had the first notable cover in 1972, but Nelson’s 1984 recording brought the tune all the to No. 1 on the Billboard charts. Goodman even won a posthumous Grammy Award for writing the song in 1985 as a result. Most songs that Nelson writes are best associated with his own quirky twang and ability to sink just about any arrangement right into his offbeat phrasing. That said, “Crazy” is best known as Patsy Cline‘s breakout hit and for many a good reason. 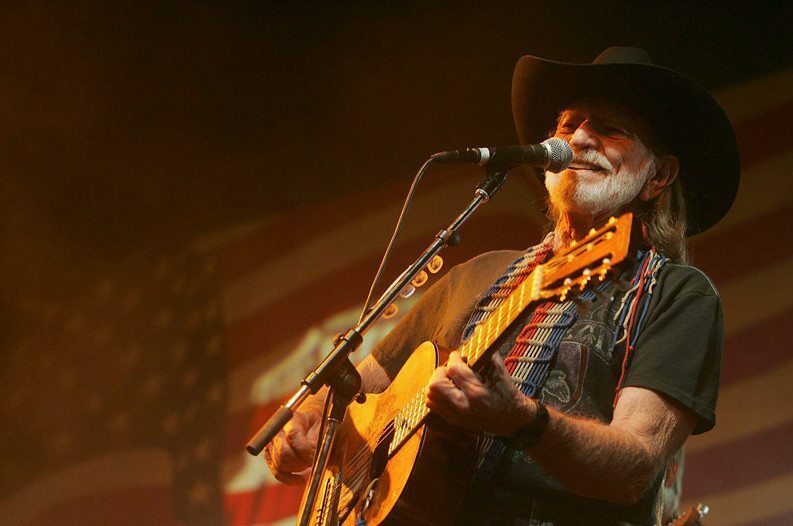 Written by Willie all the way back at the start of his career in 1961, it wasn’t until 2001 that he released a studio version of the song alongside Juice Newton. However, he’s performed it for decades alongside many of his contemporaries. The track was received well by the country music community long before him and Newton’s rendition. It was recorded by 15 other artists prior to Nelson and Newton’s take, including George Jones and Al Green. It may not be as iconic as Ray Charles‘ take in 1960, but Willie still offered enough gusto to this easygoing and soulful rendition that it’s often remembered by his fans as one of his very best covers. Amongst all of The Highwaymen, it’s Willie’s relationship with Waylon Jennings that may well be the most warmly regarded. The two put out a string of hits together, and it all started with “Good Hearted Woman” in 1971. Near the very start of his career in the early 1960s, Willie Nelson was already exercising his songwriting muscle and shopping tunes around to other performers. Faron Young was one of the first to notably take on one of Willie’s tunes, with “Hello Walls” becoming a big success for him in 1961. It spent 23 weeks at the top of the Billboard charts. Willie released his own smooth-crooning version the following year. 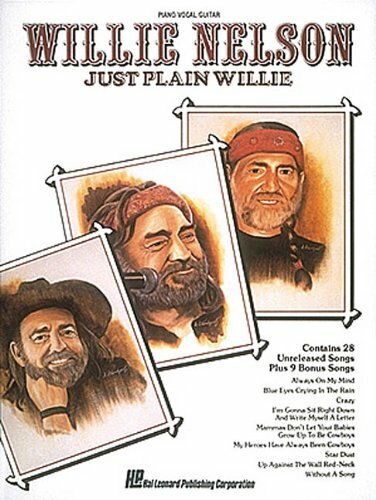 Unlike other songs written by other names in the business, Willie Nelson was the first to offer up his take on this “cover.” He once again proves that he’s just as prolific a songwriter as he is an interpreter, offering such a genuine take on heartbreak that one wouldn’t be remiss to assume he’d written it himself. More recently, Chris Stapleton took on his own soulful rendition on From A Room, Vol 1. Another hit record of Waylon and Willie’s was featured on their 1978 duet album of nearly the same name. The anthemic country swing tune went on to win a Grammy for Best Country Performance by a Duo or Group with Vocal. At the start of his career, Willie Nelson was down on his luck. Finding himself in poverty, he tried selling “Mr. Record Man” to Larry Butler, who instead gave him as job as one of his songwriters. When his songs proved to be successes for other artists, Willie was recognized by Liberty Records and given his own gig as a country singer. Henceforth, his own take on “Mr. Record Man” was one of his first notable performances. Honeysuckle Rose wasn’t the only film that Nelson wrote songs for. Although his buddy Waylon first put out his take on the song in 1976, it Willie’s version that was featured in The Electric Horseman film. It’s a reflection on the dream of being a cowboy set directly up against its reality that many listeners may be able to relate to. 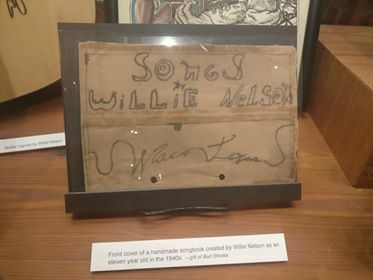 What might very well be Nelson’s most iconic song was written on a barf bag, of all things. Most noteworthy, though, is its rollicking “train beat” and enduring tale of travel. Those alone make it a country music chestnut for the ages. Often seen as Townes Van Zandt’s most well-known song, several dutiful interpreters of song have covered it over the years. All the while, it’s Willie and Merle’s rendition that stands best alongside Townes’ as a stunning take on this classic outlaw ballad. After releasing his own take on a Ray Charles tune, the two musical megatons came together to perform a duet. The two artists crossover into each other’s lanes magnificently on the track, culminating into a ballad that is just as much country as it is gospel and soul. 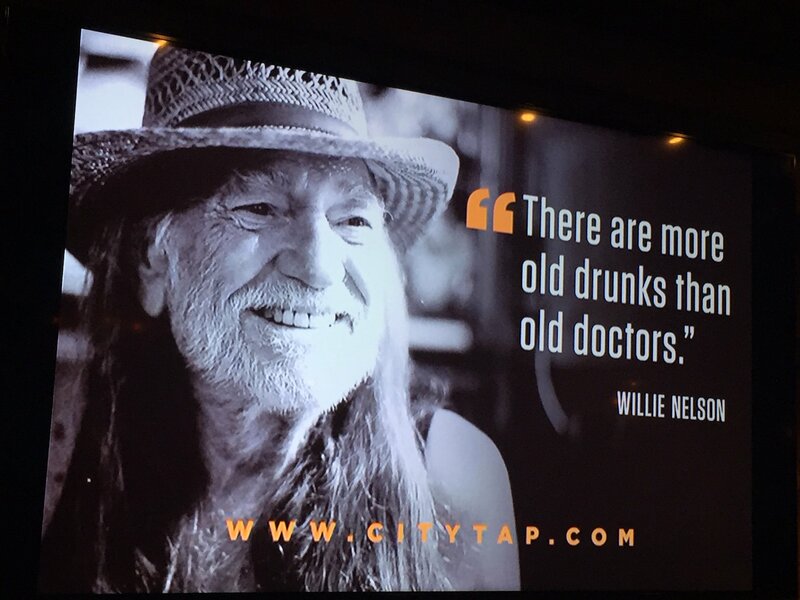 Who knew that Willie Nelson and Coldplay would go together so well? At 76 years old in 2011, Willie brings a weathered and wizened version of this heart-wrenching contemporary classic. Consequently, it even rivals the quality of the original. Originally recorded by Johnny Bush, Willie Nelson put his stamp on this song back in ’73 on Shotgun Willie. Since then it’s become one of his go-to songs at live shows. This includes its sport as the opening track on the setlist for his live album Live at Billy Bob’s Texas. As always, he puts his own stamp on the song with this rollicking rendition worthy of any country road trip. 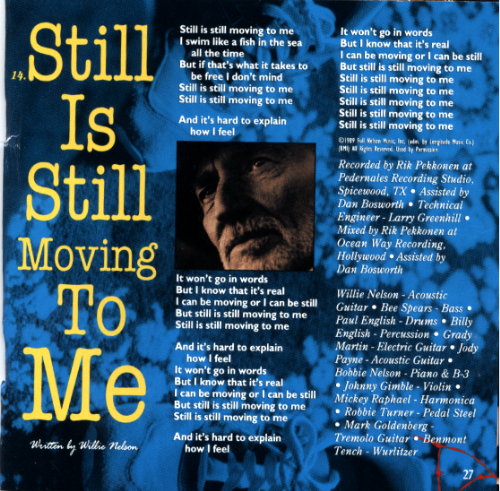 When people ask me which of the songs I’ve written are my favorites, “Still is Still Moving” always comes up near the top of the list. The band and I play it at almost every concert, and I’ve recorded it countless times, as well, so you have got to figure the song means something important to me. Sometimes I wonder if perhaps the song is me. Whether you look at the song from the point of view of ancient philosophies or from the modern knowledge of quantum physics, there is great motion in all stillness, and true stillness at the heart of all action. The early Chinese philosophers referred to hits in the concept of something called wu wei, which suggests fulfilling every task with the least necessary action. Two notes are not required when one will suffice. Twenty words may not say something better than ten, or one. For me, that word is stillness. No matter how still I am, the world around me is abuzz with activity, and the world within me as well. Modern physics tells us that the atoms in our body ” and all the particles and forces that make up those atoms ” are never at rest. While our bodies and the world around us seem solid, that physical appearance is merely an illusion, for each of our atoms is comprised primarily of empty space. If your life in this modern world seems to pass you by at the speed of light, perhaps you could consult Einstein, who proved that the faster we travel, the more time is compressed. That’s right, the faster we go, the less time we have. So what is your hurry? Norah Jones might have broken into the mainstream consciousness as a jazz and pop artist, a path she followed on her most recent album, Day Breaks, but the Texas-raised musician has always been a country music aficionado at heart. She co-founded the alt-country The Little Willies — named after Willie Nelson — nearly 15 years ago with fellow heartland music lovers Richard Julian, Jim Campilongo, Lee Alexander and Dan Rieser. On the Little Willies’ two albums, their eponymous 2006 debut and 2012’s For The Good Times, the group ebulliently covered songs by a large swath of American legends, like Johnny Cash, Dolly Parton and, of course, Nelson, this week’s FUV Essentials artist. Jones has performed with Nelson many times, in the studio on standards like “Baby It’s Cold Outside,” found on his 2009 album American Classic, or joining him live in 2010 at Farm Aid 25, singing songs like Alexander’s “Lonestar” (which appeared on Nelson’s 2002 live album, Willie Nelson & Friends – Stars & Guitars). When FUV broadcast Willie Nelson and Family’s concert at the BRIC Celebrate Brooklyn! Festival in August 2015, Jones was there in the crowd, watching Nelson and his band with a broad smile on her face, reveling in his great classics. Their kinship is one of mutual admiration, humor, collaborative intuition and respect. FUV reached out to Jones to write about the recordings and songs that mean the most to her, by her friend and fellow Texan. This song is one of my favorites. 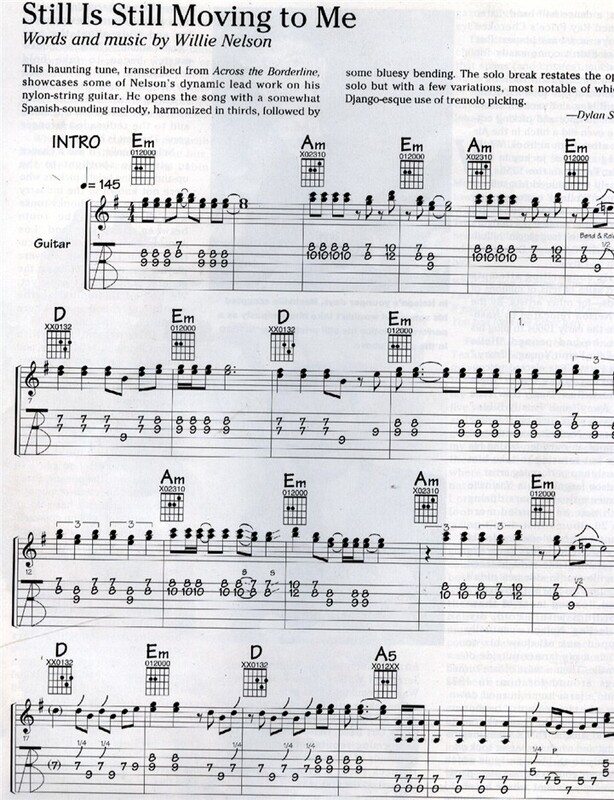 The turn of phrase, melody, and chord changes. So beautiful and simple, yet very complex which I didn’t realize until I tried to cover it! He really cuts straight to the bone on this one. There are so many great versions of this song but this is my favorite, just stripped down with Willie and Johnny Cash on guitar. This is also one of my favorite Willie guitar solos. As a song it’s biting, heartbreaking, and funny. It’s a good story song with a little knife-in-the-back at the end. Great honky tonk song and vibe. And he sings so good. The first two songs go together so beautifully. It goes from this gorgeous jazz-tinged guitar ballad with moments of Brazil, and then the second part is a killer country song. He made some amazing concept albums and these two tracks really capture that magic. From my favorite album of all time — Red Headed Stranger. A classic. It shows how he makes every song his own, even the ones he didn’t write. Willie Nelson. The name is six letters each for both first and last name, yet there is nothing simple about the man. In his career, he has defied – and continues to defy genres or classifications. He has recorded albums with just about every musical theme known to man since he began recording in the late 1950s. He has tipped the hat to Cole Porter and Ray Price, and recorded with artists ranging from Hank Snow to Snoop Dogg. To dissect Nelson’s recorded legacy in a (somewhat) comprehensive manner, we decided to make this about Nelson’s greatest solo singles over the years. Artists such as Waylon, Johnny, and Julio all belong on a greatest hits list……but let’s hold that for a duet one. Here are ten of his finest moments in the solo spotlight! The names Kurt Weill, Maxwell Anderson, and Walter Huston were not – and are not now, for that matter – known to Country audiences in 1979. And, Weill and Anderson’s composition – which Huston took to number one in 1950, and was also recorded by crooners such as Sinatra and Crosby – wouldn’t probably make many lists of “Great Willie Nelson songs.” But, the singer DID record this one for the 1978 triumph Stardust, and did climb to the Top-20 on the Country singles chart with it. And, if you heard it back then – you know that this was one of his greatest performances. For all the success and all the awards that have come Nelson’s way over the years, the most telling sign of his greatness is just how purely simple his songs are. There wasn’t a lot of production or overblown words on this 1985 number one hit, but there didn’t need to be. The singer wrote what he felt, delivered it on record, and simply let the listener be the judge. And, that’s sometimes all you really need to do. Deciding to limit this list to just Nelson’s solo work ensured that I would be able to select at least one track from his pre-beard early days on RCA Victor. Nelson never did hit the top ten during his days on the label, which was a shame – as the singer came up with some very interesting and vital work during his several years at the label. One of his biggest Nipper-related moments came with this Top-20 hit from 1966 that allowed the singer to shine in this Nashville Sound-themed recording. Perhaps it was the dramatic element of the arrangement that made his unique vocal phrasing stand out so. This is definitely one of his most under-rated moments. As incredible of a wordsmith as Nelson has been in his career, the casual listener might be a little bit shocked that this ode to the lifestyle of the Old West does not include Nelson’s name as a writer. Instead, that honor goes to Sharon Vaughn, who crafted this finely-tuned lyric that inspired many who grew up drawn to the exploits of Rogers, Autry, and Bonanza. A Honeysuckle Rose inclusion, this song serves as proof of Nelson’s love of the road – and all that it entails. There’s something about the allure of the highway and the stage that has kept the singer going from one stage to the other – for years and years. A concert staple since the early 1970s, this is perhaps Nelson’s closest thing to a theme song that he has in his catalog. But, actually, it’s not his catalog. 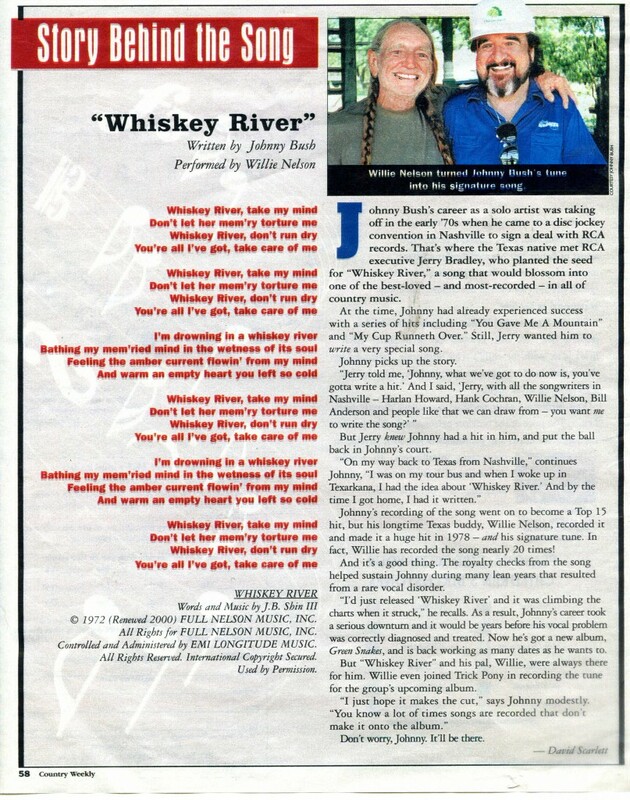 Fellow Texan Johnny Bush wrote and recorded an amazing version of the song prior to Nelson, but it’s the singer’s 1979 cover that fans will point to as one of the greatest stage kick-off songs in country music history. From his Honeysuckle Rose film, this one remains one of Nelson’s greatest compositions. Walk down Nashville’s Broadway on any given night – and you will hear at least one country singer wanna-be performing this classic Willie Nelson song of heartbreak. Perhaps the singer at his most authentic and vulnerable. Brenda Lee recorded it. Elvis Presley enjoyed a minor hit with it. But, in the hands of Nelson – one of the master song interpreters of all time – this record became one that was yielded into the Great American Songbook of the 1980s. His 1982 recording of this was an across-the-board hit for the singer, and also yielded Song of the Year trophies for writers Wayne Carson, Johnny Christopher, and Mark James – all for a song that had been a decade old at the time! After two decades in the business as a successful tunesmith, Nelson finally broke through to the top of the Billboard Country charts with – what else? A Fred Rose classic made famous by Roy Acuff some three decades prior! 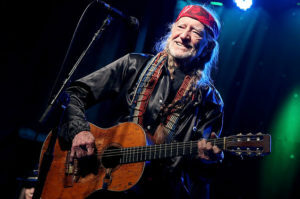 There was nothing about Nelson’s sparse recording of this chestnut – or the Red Headed Stranger album that it was selected from – that rang with commercial aplomb when it hit the market in 1975, but perhaps that’s what we love most about Willie Nelson – There is no rhyme or reason to the chorus. We simply love the chorus. So, you’re on top of the musical world, as Willie Nelson’s star finally was in 1978. Chances are you are not looking to revisit musical legacies from a bygone era – but then again, Willie has always danced to his own musical beat. His decision to release the classics album Stardust – and to dust off this Hoagy Carmichael ballad was probably not the wisest conventionally, but any conversation about Willie Nelson songs has to include this one – which is best played over a stereo in the dark, with one’s favorite beverage within reaching distance. To celebrate Willie’s birthday, Saturday Stream presents a Spotify Playlist made up of a collection of career-spanning recordings featuring Nelson performing live throughout the past 50 years. The set includes solo and Willie Nelson & Family recordings, as well as many collaborations with fellow talented musicians such as Merle Haggard, Johnny Cash, Carole King, Wynton Marsalis, Norah Jones, Al Green, Jack Johnson, Sheryl Crow, Ben Harper, Jerry Jeff Walker, Chris Stapleton and others. There are also tracks featuring The Highwayman supergroup of Nelson alongside Cash, Waylon Jennings /strong> and Kris Kristofferson. When people ask me which of the songs Ive written are my favorites, “Still is Still Moving” always comes up near the top of the list. The band and I play it at almost every concert, and I’ve recorded it countless times, as well, so you have got to figure the song means something important to me.